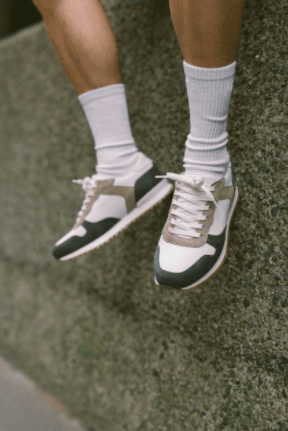 Canada’s Cole Buxton have teamed up with Oliver Cabell for a new take on their Rennes trainer. Providing the shoe an old-school twist, the new iteration seamlessly blends a luxury feel with athletic practicality. Inspired by the boxy shapes and washed-out palettes of old school body building, it looks great too. On top of that, the drop is limited to just 32 pairs, so you don’t need us to tell you that this is super limited. Take a look at some snaps below and shop the shoe here – while it’s still going.